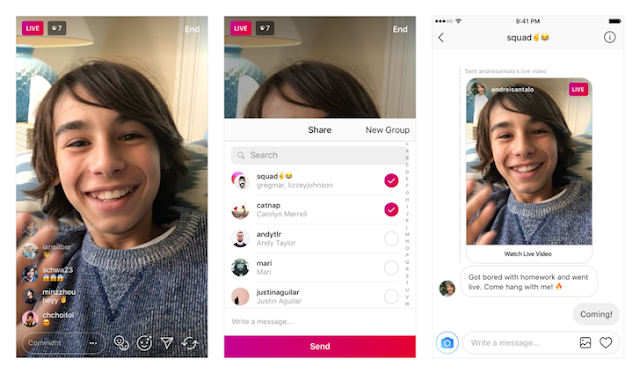 What is the point of broadcating yourself on instagram but no one is watching, Now you can directly send your live video to your friends and let them know you're online. Following the recent hashtag update, Instagram is adding a new feature to live videos. You should now see a Direct icon when you’re recording a live video, and with a simple tap, you can share your live video with friends and followers. People will be able to view the video if you’re currently live, and when it’s over, they will see a message indicating that the video session has ended on their notifications. Viewers of your Direct live videos can also send them to others via the same method, but you can disable that option if you like in the settings, If you have a private account, Instagram assures us that only your followers can view your live videos.